Tiff will take the time to explain the details of the BMW M4 and what to expect. Time to get your camera out for a photo next to the car! Three exhilarating laps with Tiff at the wheel as he talks you around Thruxton and squeezes every last horse power out of the new BMW M4 whilst pointing sideways at the same time! Have you ever watched Top Gear or 5th Gear and seen Tiff Needell performing seemingly impossible sideways slides in all manner of cars? If not, a quick search on YouTube will soon show what Tiff is about. Thruxton is pleased to offer our customers the chance to experience Tiff's legendary car control first hand from the passenger seat of a brand new BMW M4. The new BMW M4 holds a 3 litre straight 6 twin turbo with 425bhp, all sent to the rear wheels making it the perfect machine for Tiff to demonstrate why he made it all the way to Formula 1 and the Le Mans 24 hours. The BMW M4 feels like it was made to lap Thruxton's fast sweeping corners and with Tiff at the wheel you're guaranteed to experience the cars full potential. To complete this unique experience you will be filmed from inside the car; a picture in picture DVD including Tiff's commentary of your laps will be yours to take home and relive the excitement. 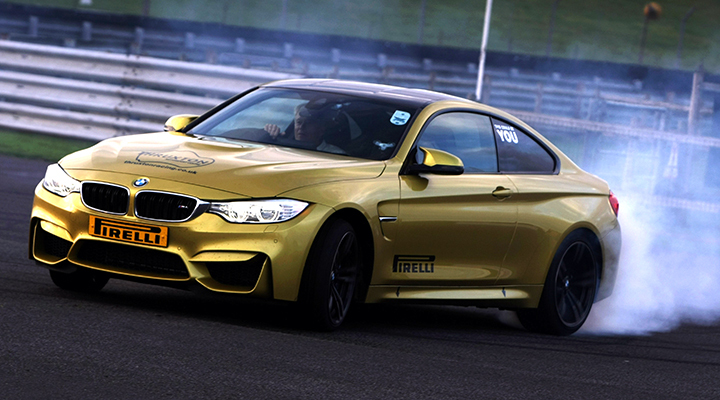 The BMW M4 Coupé feels like it was made to lap Thruxton's fast sweeping corners. The car is equipped with the brand new 431hp M TwinPower Turbo engine with a seven-speed M Double Clutch Transmission. We operate on selected weekdays and Saturdays. 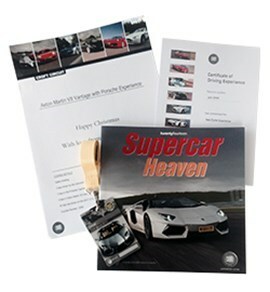 This experience is a motorsport fans dream - drive the single-seater racing car and Porsche Cayman and meet Tiff Needell! Drive and ride in close to £800,000 worth of machinery on the fastest track in the UK.